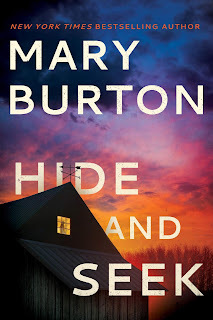 Lately I've been reading Romantic Suspense and I'd like to read Mary Burton's books. The excerpt has me very interested. I'm off to the library later so I'll pick up a couple. Thanks for the post. Romantic suspense is captivating and is enthralling. I have read several of Mary Burton's books. Figuring out the mystery is always a puzzle. Thanks. 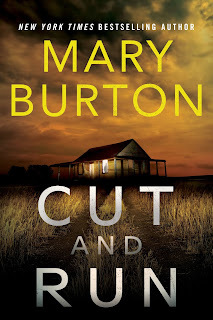 I would enjoy Mary Burton's books as they would be an escape and an exciting one filled with thrills and suspense. Thanks for this feature which interests me greatly. I have read several of Mary Burton's books, loved The Hangman, The Shark and The Doll Maker. I love the suspense and trying to solve the puzzle, but have failed to do so. Love her books! I recently came across two of this authors older romantic suspense books, Merciless and Senseless. They were well written and I was happy to have stumbled upon them. My success in guessing the ending often hinges on what clues I have been given and whether there is a twist near the end. But I am just happy to follow the progress of the investigation and enjoy the big reveal. I have read Ms. Burton's books, but it has been a while. I really enjoy romantic suspense books. You get a HEA with twists and turns. Such fun. I love Mary Burton's books!I love trying to figure who done it, sometimes I'm right and sometimes I'm wrong! I've read Senseless and Merciless. Looking forward to reading more of her books. I do read suspense sometimes, but I have never read a book by Mary Burton. I am guilty of occasionally turning ahead a few pages when I reach a particularly suspenseful scene. Once I know that the main character is going to be okay, then I can go back and read the scene. What a chicken I am! LOL! Mary is a new-to-me author. I do enjoy reading a good mystery/suspense/thriller on occasion and this book sounds like an excellent story. I do try to figure out the whodunit before the ending, but I DO NOT CHEAT! I do not look to see. I like the endings that set me back and I say "I didn't see that coming"! I've enjoyed her stories. I always try but am rarely right lol. I think I like it better that way. Don't want it to be too easy but I hate trick endings (she's never done that). This sounds good! !